CORVALLIS, Ore. – Forests in the Pacific Northwest will be less vulnerable to drought and fire over the next three decades than those in the Rocky Mountains and Sierra Nevada, computer modeling by researchers in Oregon State University’s College of Forestry shows. The findings, published today in Global Change Biology, represent an important tool for scientists and land managers because woodlands throughout the western United States are under increasing stress from accelerated rates of drought-related mortality related to global, human-caused climate change. 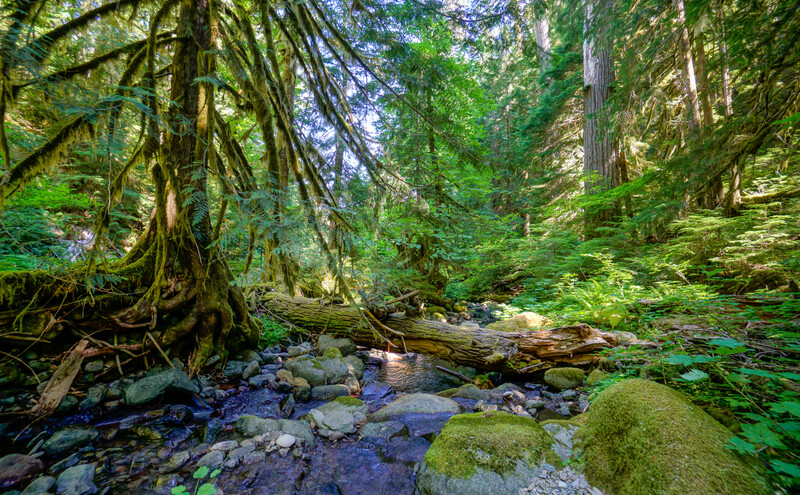 Also, the Northwest’s hemlock, Douglas-fir and redwood forests have tremendous potential to counteract climate change via their carbon-sequestration abilities, meaning policies that promote stewardship of those forests is critical, the scientists say. Buotte and College of Forestry colleague Beverly Law led a collaboration that modeled 13 different major forest types from around the western United States, taking into account climate conditions and atmospheric carbon dioxide levels over the next 30 years. The model was high-resolution both from a spatial standpoint – it broke forests into grids of 16 square kilometers – and also because it looked at species-specific responses to environmental variables. “The model calculated multiple biophysical and biogeochemical processes, including surface heat fluxes, photosynthesis, evaporation, transpiration, carbon allocation to plant tissue, decomposition and nitrogen cycling,” Buotte said. The researchers, who also included David Rupp of OSU’s College of Earth, Ocean and Atmospheric Sciences, developed metrics of vulnerability to short-term extreme and prolonged drought. Stress from drought causes trees to shed leaves, limiting their capacity for photosynthesis; insect infestations also make life hard for drought-affected trees. “Our analyses indicate strong potential for continued levels of drought‐related forest mortality in the southern Rockies and in the Southwest in the coming decades as those forests are likely to suffer from a changing climate,” Buotte said. The researchers stress that there is a lot of spatial variability in future vulnerability. And that fire vulnerability is not the same as fire intensity. “We do not imply that areas labeled highly vulnerable will burn or that if ignited they will burn with high intensity, but they are at greater risk in the coming years than they have been historically,” Buotte said. The U.S. departments of Agriculture and Energy supported this research. About the OSU College of Forestry: For a century, the College of Forestry has been a world class center of teaching, learning and research. It offers graduate and undergraduate degree programs in sustaining ecosystems, managing forests and manufacturing wood products; conducts basic and applied research on the nature and use of forests; and operates 14,000 acres of college forests.